On Tuesday March 12, an Italian container ship sank to the depths of the Atlantic Ocean, dragging down with it some 2,000 cars. 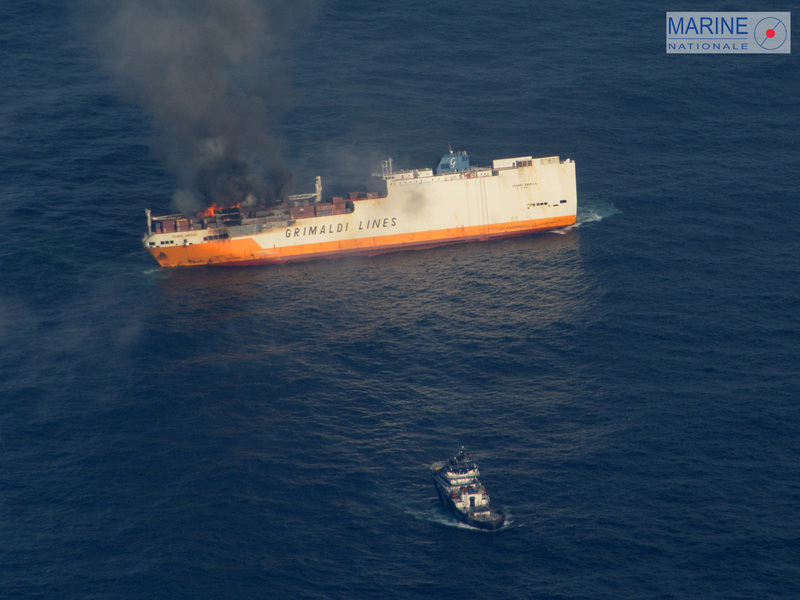 Fortunately, the 27 crew members aboard the Brazil-bound Grande America were safely evacuated, and – although some people required hospital treatment – there were no life-threatening injuries. The 28,000-ton cargo ship had been sailing from Hamburg to Casablanca when it caught fire and capsized approximately 150 miles off the French coast near the city of La Rochelle. The Grande America sunk to depths of around 15,000 feet, spilling 2,200 tonnes of fuel into the surrounding ocean. The resulting oil slick is reported to be approximately 10 km in length and one km in width. As reported by Autoblog, many of the cars now lost to the watery depths were Audis of various models (A3, A4, A5, RS4, RS5 and Q7). There were also 37 Porsche vehicles on board, including four models of the 911 GT2 RS, worth $293,200 each. These incredibly fast cars stopped production over a year ago, however Porsche have revealed they will reproduce the cars which went down with the Grande America. Porsche Brasil confirms that 37 of its new cars, in route from Hamburg, Germany, to Santos, Brazil, were aboard the vessel Grande America that suffered a maritime incident near the coast of Brest, France, on March 12, 2019. Among the fleet were four 911 GT2 RS units. In a special decision and to uphold its commitment to its valued Brazilian customers, Porsche has ensured that those units will be reproduced in the order in which they were originally confirmed. It’s one thing to consider these gorgeous new cars rusting away at the bottom of the ocean. But what’s really upsetting is the damage the resulting oil spill could have on the surrounding environment. Two thousand vehicles — it’s a car crash at the bottom of the sea, representing hundreds of tonnes of toxic materials in an area very rich in fish, plankton and marine animals. Robin des Bois have reportedly expressed their intention to file a criminal complaint regarding the environmental damage caused by this incident. French environment minister Francois de Rugy has stated the government will ‘do everything ….to reduce the impact of pollution’. The cause of the blaze is as of yet unknown. 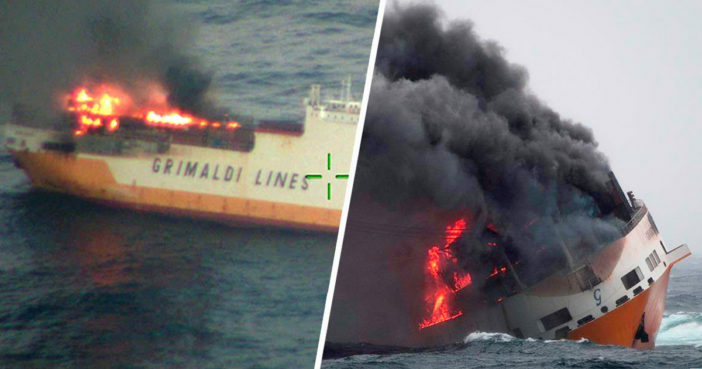 However, the fire is thought to have begun on the car deck before spreading to a container.